With the countdown running for opening the New Orleans Culinary & Hospitality Institute, you won’t find anyone more excited than Carol Markowitz. Set to open next year in the former Louisiana Artworks building at 725 Howard Ave., NOCHI has been designed to serve as a world-class hotel and cooking school. Markowitz, a Los Angeles native who moved to New Orleans six years ago, reflects on her unique path to NOCHI, the school’s deeper significance to the city and the tourism industry’s ability to reach beyond its grasp. 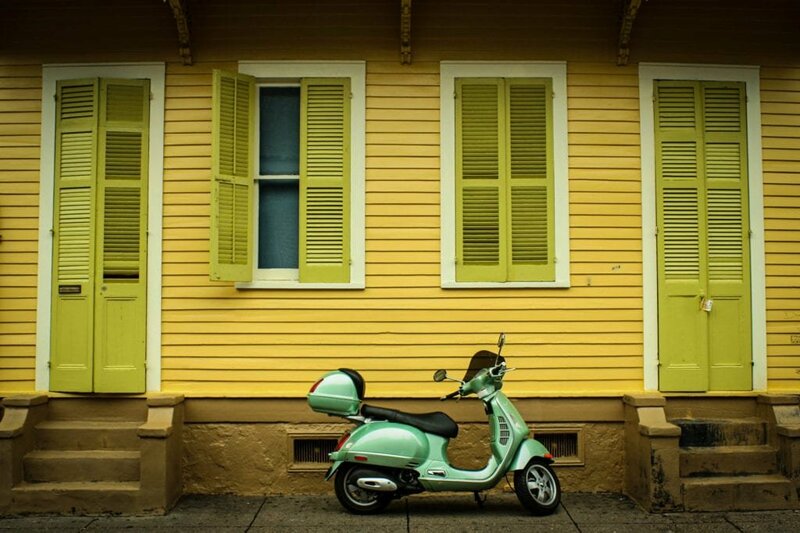 Since arriving in New Orleans, what do you love most about the city? What I love most about this city is the people. I read a great quote recently about experience being “the sum of all the interactions a person has with a brand.” Well, you always hear people talk about our music, our food, our architecture. But none of those can be experienced without our people. In my mind, the key component to the New Orleans experience, whether you’ve lived here for generations or just visiting for a weekend, is the people who live here and the hospitality gene that just seems to be part of the DNA here. What I love most about this city is the people. You’re a Harvard business school graduate with a finance background. 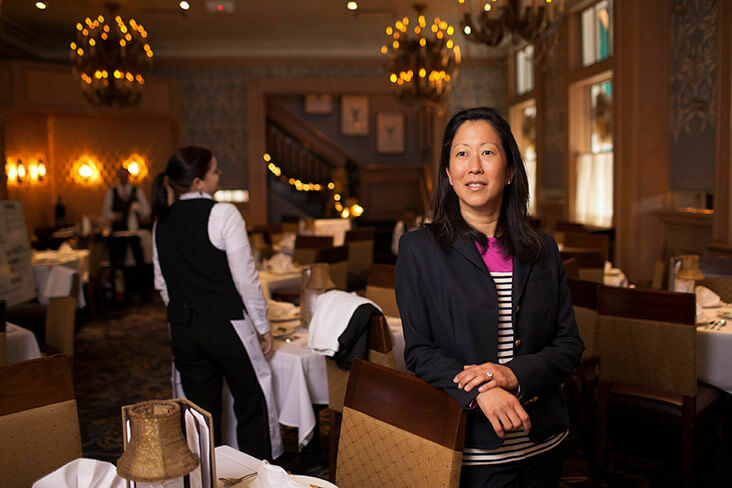 What led you to hospitality and tourism, how did you become executive director of NOCHI? When I moved to New Orleans, I spent one year as an entrepreneur-in-residence at The Idea Village, where I worked with other entrepreneurs to help them build and grow their start-ups. After I finished the 2012-13 season, the founders of NOCHI enlisted my help in bringing to life their start-up idea, which was a vision for a world-class culinary school in New Orleans. As you can imagine, I’ve had to wear many different hats over the course of NOCHI’s development – working with culinary educators, industry groups, local government, higher education partners, lawyers, bankers, architects, consultants, on and on. While my general management and leadership training, and deep expertise in business and financial planning have certainly been critical, the biggest keys to success in this kind of entrepreneurial endeavor is one’s ability to constantly figure things out, along with having the passion and inner strength to “lean in” all the way. While my path to NOCHI may seem unconventional, I feel a strong connection to the hospitality industry based on the deep satisfaction I get from serving and delighting others. The joy of serving others is the tie that binds all of us in this industry who love their jobs. The joy of serving others is the tie that binds all of us in this industry who love their jobs. For those who don’t know, what is NOCHI? New Orleans has attempted to start or recruit a major culinary and hospitality school for years, if not decades. Other cities like Charlotte and San Antonio have succeeded because of the support they have received. New Orleans’ time has finally arrived thanks to the convergence of many factors, including a unique building in one of the most dynamic locations in the city, broad industry support, a cooperative endeavor agreement with the Ernest N. Morial Convention Center and key philanthropic supporters who shared the vision for NOCHI from the very beginning. In short, NOCHI is what this city has long dreamed of and what it rightfully deserves – a resource that builds on the strength of our city’s extraordinary culinary heritage to create greater access and opportunity for the community through excellence in education and entrepreneurship. Why is it important to have a place like NOCHI in New Orleans? Quentin Messer, the president and CEO of New Orleans Business Alliance recently wrote an op-ed piece, urging us not to lose sight of “the intentionally big dreams and strategic bets” that transformed New Orleans into the tourism mecca that it is today. He goes on to say that building the Superdome and the Convention Center were seminal decisions that benefit residents every day. Once the building renovations are complete, NOCHI will be the outcome of another one of the intentionally big dreams Quentin describes. It will also play a part in New Orleans becoming a tourist mecca and global leader in culinary and hospitality training and education. NOCHI will be considered seminal, like the Superdome and Convention Center, based on our unique approach to creating economic, social and cultural value through the service industry in a city where the cocktail was invented, and where we live to eat and let the good times roll. Recently, UNO reported that the city hosted 10.5 million visitors last year, the highest number since pre-Hurricane Katrina. What is tourism’s significance for New Orleans’ economy, and why does it benefit locals? The industry provides obvious and substantial economic benefits like jobs and tax revenues to our city and state. But one thing that I think is difficult to quantify is the fact that getting people to experience New Orleans and fall in love with our city is part of what helps us punch above our weight, so to speak, nationally and globally when it comes to media coverage, rankings, accolades, resources, the quality of events. All these things matter in maintaining our cultural significance and continuing to attract talent and capital. These things are important to New Orleans residents and to our children. New Orleans will be so proud to see NOCHI fulfill its vision to elevate the city’s standing as a world-class culinary and hospitality city for the next 300 years!